Directors have a fiduciary duty to act in the best interests of the company they direct and its shareholders. This duty owed by the directors (Directors) arise by virtue of the fiduciary relationship in equity between a director and the company and the Corporations Act 2001 (Cth)(Act). A term sheet (Term Sheet) is a document that sets out the basic terms and conditions on which parties intend to enter into a commercial agreement. Term Sheets are generally not intended to create legal relations between the parties but rather to form the basis of further discussions, which may be exclusive for a period of time and on a strictly confidential basis. Once parties reach consensus on the commercial terms of a Term Sheet, a legally binding contract is then drawn up. A roll up (Roll Up) is generally thought of in the context of mergers and acquisitions is where a group of businesses are combined for the purpose of building an asset base capable of being listed on a stock exchange. The reason for this is that the larger asset base is more likely to create an exit event in the form of an Initial Public Offer (IPO) more quickly than a business can grow organically. Putting my MBA hat on the other benefit is the economies of scale that can be achieved because of having a centralised infrastructure and common branding (for example) usually in a common vertical market. Whilst on the road to the goal, there exists the opportunity to leverage systems and infrastructure to extract synergies for the newly merged business. The economic rationale for a Roll Up & List (Roll Up & List) is simple, all things being equal, shares which are readily tradeable on a stock exchange are generally more valuable than those that are illiquid. The series of articles entitled ‘Planning a business acquisition’ was written by Malcolm Burrows and has been licensed to Television Education Network Pty Ltd. A technical paper will accompany a Buying & Selling a Business DVD that will be released in October this year. 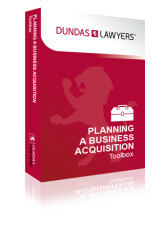 The nine (9) part series was developed to educate those planning or evaluating a business acquisition. In the context of the Acquisition of a business an advisory team (Advisory Team) can take many forms. 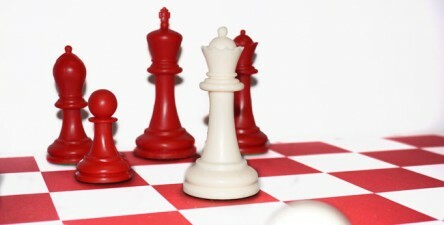 The reality is that not all attempted acquisitions are successful, therefore to maximise the probability of making a successful acquisition there are many factors to be considered in assembling the advisory team ranging from do you need one at all to what are the teams roles and responsibilities. Should the Lead Consultant be a lawyer? Declaration – the author of this paper is an admitted lawyer with a Principal Practicing Certificate admitted to practice in the Supreme Court of Queensland and the High Court of Australia.